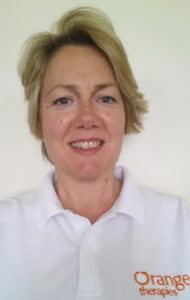 I started Orange Therapies in 2006 following from my personal experience in receiving beneficial complementary therapies to help rehabilitate my shoulder injury. I quickly realised that although the body has the ability to heal itself, at times it needs professional help. The treatment that I received had a huge positive effect on my life and I became pain free! Now I am passionate about helping others with the treatments that I offer as well as remedial exercises to take home, so you can help yourself. I am a member of the Institute of Sport & Remedial Massage, one of the UK’s largest professional therapist association, recognised by the Complementary & Natural Healthcare Council which is the government backed regulatory body for the industry. Every year I take part in workshops to keep abreast with current studies and the latest findings in the industry. I have taken part in anatomy studies on cadavers with Prof. Ceri Davies, Professor of Anatomy at Imperial College London and lately I attended a workshop on shoulder assessment and rehabilitation with Adam Meakins, specialist sport physiotherapist. I work alongside osteopaths, chiropractors, physiotherapists, hypnotherapists, dieticians and other practitioners. Should I feel that you would benefit more from a different modality than what I can offer, I will not hesitate to refer you onto the appropriate specialist. When I am not working I enjoy cycling along coastlines, surfing, SUP and boogie boarding, practicing yoga or hiking the countryside. As I am reaching 50 I am also spending time in the gym perfecting my deadlifts techniques to maintain strength and healthy bone density.